GP Training is the place where you land up for all training needs. 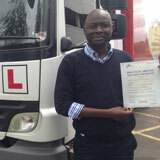 Our instructors are qualified members of Drive Standards Authority who conducts training for LGV, PCV and Drive CPC. 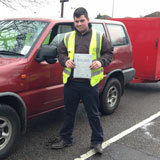 We have a standardized driver training course for a stipulated period. You can avail time flexibility here that fits you. Our training starts with a free assessment test, then course is decided according to the skill and ability of the person and then charges are applied. No hidden charges are there in between the course. Driving is a promising profession that needs dedication and sincerity. There is a lot of responsibility on a driver while you carry passengers from one place to another along with maintaining the road safety rules. A Driver untrained will cause damage to the people around him or outside the vehicle on the road. If the driver works in a goods vehicle then they are accountable for the safety of the items. 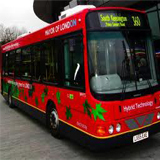 Today, transportation and distribution industries have lot requirement for training drivers across the London. Category C: C License is also known by the name Rigid. 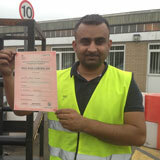 Once you are trained with LGV training and after qualifying you will get C license for Lorries 7.5 tones over weight. C + E Truck and Trailer is an extra trailer of weight 750kg to a towing vehicle. You must be 21 years old and if you are 18 and have CPC then you can take C1+E. You must have a C License and enroll a professional training afterwards apply for theory and practical test. 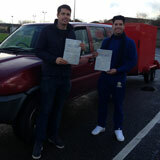 In this you can drive any large or heavy vehicles of goods. C1+E License is a category where you can drive a maximum size 7500kgs towing an additional trailer of 750kg. You must cross the weight total 850kg anyhow. This license is for those who have C1 license drivers. You must be 21 years due to the extra mass trailer. You must take the training for C1 + E 7.5t and Trailer and must pass the tests. 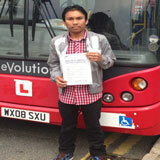 First do a medical examination then provisional license and appear test. Initially a paid assessment will be done afterwards you have to give training course fee. D Automatic Bus: Must pass the test of Automatic Bus driving for getting the PCV license of category D.
D Manual Coach: The test will be conducted in manual coach and after passing you come under category D for PCV driving manual. 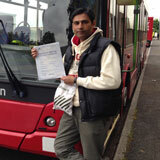 D1 Minibus: Want to work in a minibus then you must need PCV category D1 minibus License. D1+E Minibus and Trailer: If you have a DI Minibus license for driving Minibus and want to add a trailer to the vehicle then you meet get a PCV D1+E License. 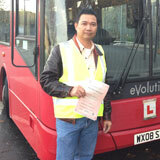 You can safeguard the success of PCV training and test with PCV Pass protection. If you fail in PCV test and you have subscribed the Pass Protection before the PCV test then the money will be refunded or you can go for a retest without paying again. As soon as you pass the test of LGV or PCV or Driver CPC, you will get the License within three weeks of your application process.